The International Union of Pure and Applied Chemistry (IUPAC /ˈaɪjuːpæk, ˈjuː-/) is an international federation of National Adhering Organizations that represents chemists in individual countries. It is a member of the International Council for Science (ICSU). IUPAC is registered in Zürich, Switzerland, and the administrative office, known as the "IUPAC Secretariat", is in Research Triangle Park, North Carolina, United States. This administrative office is headed by IUPAC's executive director, currently Lynn Soby. IUPAC was established in 1919 as the successor of the International Congress of Applied Chemistry for the advancement of chemistry. Its members, the National Adhering Organizations, can be national chemistry societies, national academies of sciences, or other bodies representing chemists. There are fifty-four National Adhering Organizations and three Associate National Adhering Organizations. IUPAC's Inter-divisional Committee on Nomenclature and Symbols (IUPAC nomenclature) is the recognized world authority in developing standards for the naming of the chemical elements and compounds. Since its creation, IUPAC has been run by many different committees with different responsibilities. These committees run different projects which include standardizing nomenclature, finding ways to bring chemistry to the world, and publishing works. IUPAC is best known for its works standardizing nomenclature in chemistry and other fields of science, but IUPAC has publications in many fields including chemistry, biology and physics. Some important work IUPAC has done in these fields includes standardizing nucleotide base sequence code names; publishing books for environmental scientists, chemists, and physicists; and improving education in science. IUPAC is also known for standardizing the atomic weights of the elements through one of its oldest standing committees, the Commission on Isotopic Abundances and Atomic Weights (CIAAW). 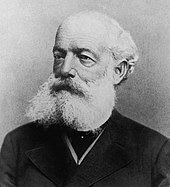 The need for an international standard for chemistry was first addressed in 1860 by a committee headed by German scientist Friedrich August Kekulé von Stradonitz. This committee was the first international conference to create an international naming system for organic compounds. The ideas that were formulated in that conference evolved into the official IUPAC nomenclature of organic chemistry. IUPAC stands as a legacy of this meeting, making it one of the most important historical international collaborations of chemistry societies. Since this time, IUPAC has been the official organization held with the responsibility of updating and maintaining official organic nomenclature. IUPAC as such was established in 1919. One notable country excluded from this early IUPAC is Germany. Germany's exclusion was a result of prejudice towards Germans by the Allied powers after World War I. Germany was finally admitted into IUPAC during 1929. However, Nazi Germany was removed from IUPAC during World War II. During World War II, IUPAC was affiliated with the Allied powers, but had little involvement during the war effort itself. After the war, East and West Germany were eventually readmitted to IUPAC. Since World War II, IUPAC has been focused on standardizing nomenclature and methods in science without interruption. In 2016, IUPAC denounced the use of chlorine as a chemical weapon. The organization pointed out their concerns in a letter to Ahmet Üzümcü, the director of the Organisation for the Prohibition of Chemical Weapons (OPCW), in regards to the practice of utilizing chlorine for weapon usage in Syria among other locations. The letter stated, "Our organizations deplore the use of chlorine in this manner. The indiscriminate attacks, possibly carried out by a member state of the Chemical Weapons Convention (CWC), is of concern to chemical scientists and engineers around the globe and we stand ready to support your mission of implementing the CWC." According to the CWC, "the use, stockpiling, distribution, development or storage of any chemical weapons is forbidden by any of the 192 state party signatories." IUPAC is governed by several committees that all have different responsibilities. The committees are as follows: Bureau, CHEMRAWN (Chem Research Applied to World Needs) Committee, Committee on Chemistry Education, Committee on Chemistry and Industry, Committee on Printed and Electronic Publications, Evaluation Committee, Executive Committee, Finance Committee, Interdivisional Committee on Terminology, Nomenclature and Symbols, Project Committee, and Pure and Applied Chemistry Editorial Advisory Board. Each committee is made up of members of different National Adhering Organizations from different countries. All committees have an allotted budget to which they must adhere. Any committee may start a project. If a project's spending becomes too much for a committee to continue funding, it must take the issue to the Project Committee. The project committee either increases the budget or decides on an external funding plan. The Bureau and Executive Committee oversee operations of the other committees. The general aspects of analytical chemistry, separation methods, spectrochemical methods, electrochemical methods, nuclear chemistry methods, and applications to human health and the environment. Providing unbiased and timely authoritative reviews on the behavior of chemical compounds in food and the environment. Maintaining and developing standard systems for designating chemical structures, including both conventional nomenclature and computer-based systems. Secretary general: Black, David StC. IUPAC committee has a long history of officially naming organic and inorganic compounds. IUPAC nomenclature is developed so that any compound can be named under one set of standardized rules to avoid duplicate names. The first publication on IUPAC nomenclature of organic compounds was A Guide to IUPAC Nomenclature of Organic Compounds in 1900, which contained information from the International Congress of Applied Chemistry. The substituent name for a ring compound is cyclo. The indication (substituent name) for a six carbon chain is hex. The two chemical endings are combined for an ending of anol indicating a single bonded carbon chain with an alcohol attached to it. Basic IUPAC inorganic nomenclature has two main parts: the cation and the anion. The cation is the name for the positively charged ion and the anion is the name for the negatively charged ion. "Potassium" is the cation name. "Chlorate" is the anion name. IUPAC also has a system for giving codes to identify amino acids and nucleotide bases. IUPAC needed a coding system that represented long sequences of amino acids. This would allow for these sequences to be compared to try to find homologies. These codes can consist of either a one letter code or a three letter code. These codes make it easier and shorter to write down the amino acid sequences that make up proteins. The nucleotide bases are made up of purines (adenine and guanine) and pyrimidines (cytosine and thymine or uracil). These nucleotide bases make up DNA and RNA. These nucleotide base codes make the genome of an organism much smaller and easier to read. Principles and Practices of Method Validation is a book entailing methods of validating and analyzing many analytes taken from a single aliquot. Also, this book goes over techniques for analyzing many samples at once. Some methods discussed include: chromatographic methods, estimation of effects, matrix induced effects, and the effect of an equipment setup on an experiment. Fundamental Toxicology is a textbook that proposes a curriculum for toxicology courses. Fundamental Toxicology is based on the book Fundamental Toxicology for Chemists. Fundamental Toxicology is enhanced through many revisions and updates. New information added in the revisions includes: risk assessment and management; reproductive toxicology; behavioral toxicology; and ecotoxicology. This book is relatively well received as being useful for reviewing chemical toxicology. Macromolecular Symposia is a journal that publishes fourteen issues a year. This journal includes contributions to the macromolecular chemistry and physics field. The meetings of IUPAC are included in this journal along with the European Polymer Federation, the American Chemical Society, and the Society of Polymer Science in Japan. The Experimental Thermodynamics books series covers many topics in the fields of thermodynamics. Measurement of the Transport Properties of Fluids is a book that is published by Blackwell Science. The topics that are included in this book are low and high temperature measurements, secondary coefficients, diffusion coefficients, light scattering, transient methods for thermal conductivity, methods for thermal conductivity, falling-body viscometers, and vibrating viscometers. Solution Calorimetry is a book that gives background information on thermal analysis and calorimetry. Thermoanalytical and calorimetric techniques along with thermodynamic and kinetic properties are also discussed. Later volumes of this book discuss the applications and principles of these thermodynamic and kinetic methods. Equations of State for Fluids and Fluid Mixtures Part I is a book that gives up to date equations of state for fluids and fluid mixtures. This book covers all ways to develop equations of state. It gives the strengths and weaknesses of each equation. Some equations discussed include: virial equation of state cubic equations; generalized Van der Waals equations; integral equations; perturbation theory; and stating and mixing rules. Other things that Equations of State for Fluids and Fluid Mixtures Part I goes over are: associating fluids, polymer systems, polydisperse fluids, self-assembled systems, ionic fluids, and fluids near their critical points. Measurement of the Thermodynamic Properties of Single Phases is a book that gives an overview of techniques for measuring the thermodynamic quantities of single phases. It also goes into experimental techniques to test many different thermodynamic states precisely and accurately. Measurement of the Thermodynamic Properties of Single Phases was written for people interested in measuring thermodynamic properties. Measurement of the Thermodynamic Properties of Multiple Phases is a book that includes multiple techniques that are used to study multiple phases of pure component systems. Also included in this book are the measurement techniques to obtain activity coefficients, interfacial tension, and critical parameters. This book was written for researchers and graduate students as a reference source. Atmospheric Particles is a book that delves into aerosol science. This book is aimed as a reference for graduate students and atmospheric researchers. Atmospheric Particles goes into depth on the properties of aerosols in the atmosphere and their effect. Topics covered in this book are: acid rain; heavy metal pollution; global warming; and photochemical smog. Atmospheric Particles also covers techniques to analyze the atmosphere and ways to take atmospheric samples. Environmental Colloids and Particles: Behaviour, Separation and Characterisation is a book that discusses environmental colloids and current information available on them. This book focuses on environmental colloids and particles in aquatic systems and soils. It also goes over techniques such as: techniques for sampling environmental colloids, size fractionation, and how to characterize of colloids and particles. Environmental Colloids and Particles: Behaviour, Separation and Characterisation also delves into how these colloids and particles interact. Biophysical Chemistry of Fractal Structures and Processes in Environmental Systems is meant to give an overview of a technique based on fractal geometry and the processes of environmental systems. This book gives ideas on how to use fractal geometry to compare and contrast different ecosystems. It also gives an overview of the knowledge needed to solve environmental problems. Finally, Biophysical Chemistry of Fractal Structures and Processes in Environmental Systems shows how to use the fractal approach to understand the reactivity of flocs, sediments, soils, microorganisms and humic substances. Interactions Between Soil Particles and Microorganisms: Impact on the Terrestrial Ecosystem is meant to be read by chemists and biologists that study environmental systems. Also, this book should be used as a reference for earth scientists, environmental geologists, environmental engineers, and professionals in microbiology and ecology. Interactions Between Soil Particles and Microorganisms: Impact on the Terrestrial Ecosystem is about how minerals, microorganisms, and organic components work together to affect terrestrial systems. This book identifies that there are many different techniques and theories about minerals, microorganisms, and organic components individually, but they are not often associated with each other. It further goes on to discuss how these components of soil work together to affect terrestrial life. Interactions Between Soil Particles and Microorganisms: Impact on the Terrestrial Ecosystem gives techniques to analyze minerals, microorganisms, and organic components together. This book also has a large section positing why environmental scientists working in the specific fields of minerals, microorganisms, and organic components of soil should work together and how they should do so. The Biogeochemistry of Iron in Seawater is a book that describes how low concentrations of iron in Antarctica and the Pacific Ocean are a result of reduced chlorophyll for phytoplankton production. It does this by reviewing information from research in the 1990s. This book goes into depth about: chemical speciation; analytical techniques; transformation of iron; how iron limits the development of high nutrient low chlorophyll areas in the Pacific Ocean. In Situ Monitoring of Aquatic Systems: Chemical Analysis and Speciation is a book that discusses techniques and devices to monitor aquatic systems and how new devices and techniques can be developed. This book emphasizes the future use of micro-analytical monitoring techniques and microtechnology. In Situ Monitoring of Aquatic Systems: Chemical Analysis and Speciation is aimed at researchers and laboratories that analyze aquatic systems such as rivers, lakes, and oceans. Structure and Surface Reactions of Soil Particles is a book about soil structures and the molecular processes that occur in soil. Structure and Surface Reactions of Soil Particles is aimed at any researcher researching soil or in the field of anthropology. It goes into depth on topics such as: fractal analysis of particle dimensions; computer modeling of the structure; reactivity of humics; applications of atomic force microscopy; and advanced instrumentation for analysis of soil particles. Metal Speciation and Bioavailability in Aquatic Systems, Series on Analytical and Physical Chemistry of Environmental Systems Vol. 3 is a book about the effect of trace metals on aquatic life. This book is considered a specialty book for researchers interested in observing the effect of trace metals in the water supply. This book includes techniques to assess how bioassays can be used to evaluate how an organism is affected by trace metals. Also, Metal Speciation and Bioavailability in Aquatic Systems, Series on Analytical and Physical Chemistry of Environmental Systems Vol. 3 looks at the limitations of the use of bioassays to observe the effects of trace metals on organisms. Physicochemical Kinetics and Transport at Biointerfaces is a book created to aid environmental scientists in field work. The book gives an overview of chemical mechanisms, transport, kinetics, and interactions that occur in environmental systems. Physicochemical Kinetics and Transport at Biointerfaces continues from where Metal Speciation and Bioavailability in Aquatic Systems leaves off. IUPAC color code their books in order to make each publication distinguishable. One extensive book on almost all nomenclature written (IUPAC nomenclature of organic chemistry and IUPAC nomenclature of inorganic chemistry) by IUPAC committee is the Compendium of Analytical Nomenclature – The Orange Book, 1st edition (1978) This book was revised in 1987. The second edition has many revisions that come from reports on nomenclature between 1976 and 1984. In 1992, the second edition went through many different revisions which led to the third edition. Pure and Applied Chemistry is the official monthly journal of IUPAC. This journal debuted in 1960. The goal statement for Pure and Applied Chemistry is to "publish highly topical and credible works at the forefront of all aspects of pure and applied chemistry." The journal itself is available by subscription, but older issues are available in the archive on IUPAC's website. Pure and Applied Chemistry was created as a central way to publish IUPAC endorsed articles. Before its creation, IUPAC did not have a quick, official way to distribute new chemistry information. Its creation was first suggested at the Paris IUPAC Meeting of 1957. During this meeting the commercial publisher of the journal was discussed and decided on. In 1959, IUPAC Pure and Applied Chemistry Editorial Advisory Board was created and put in charge of the journal. The idea of one journal being a definitive place for a vast amount of chemistry was difficult for the committee to grasp at first. However, it was decided that the journal would reprint old journal editions to keep all chemistry knowledge available. The Compendium of Chemical Terminology, also known as the "Gold Book", was originally worked on by Victor Gold. This book is a collection of names and terms already discussed in Pure and Applied Chemistry. The Compendium of Chemical Terminology was first published in 1987. The first edition of this book contains no original material, but is meant to be a compilation of other IUPAC works. The second edition of this book was published in 1997. This book made large changes to the first edition of the Compendium of Chemical Terminology. These changes included updated material and an expansion of the book to include over seven thousand terms. The second edition was the topic of an IUPAC XML project. This project made an XML version of the book that includes over seven thousand terms. The XML version of the book includes an open editing policy, which allows users to add excerpts of the written version. IUPAC Nomenclature of Organic Chemistry (online publication) IUPAC Nomenclature of Organic Chemistry, also known as the "Blue Book", is a website published by the Advanced Chemistry Department Incorporated with the permission of IUPAC. This site is a compilation of the books A Guide to IUPAC Nomenclature of Organic Compounds and Nomenclature of Organic Chemistry. 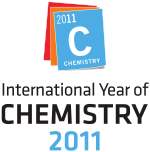 IUPAC and UNESCO were the lead organizations coordinating events for the International Year of Chemistry, which took place in 2011. The International Year of Chemistry was originally proposed by IUPAC at the general assembly in Turin, Italy. This motion was adopted by UNESCO at a meeting in 2008. The main objectives of the International Year of Chemistry were to increase public appreciation of chemistry and gain more interest in the world of chemistry. This event is also being held to encourage young people to get involved and contribute to chemistry. A further reason for this event being held is to honour how chemistry has made improvements to everyone's way of life. IUPAC Presidents are elected by the IUPAC Council during the General Assembly. Below is the list of IUPAC Presidents since its inception in 1919. 1959-1963 William Albert Noyes Jr.
^ "Our Leadership". IUPAC. Retrieved 5 January 2018. ^ a b c "IUPAC National Adhering Organizations". Iupac.org. 2 June 2011. Archived from the original on 4 June 2011. Retrieved 8 June 2011. ^ "IUPAC Council Agenda Book 2009" (PDF). IUPAC. 2009. Archived (PDF) from the original on 9 March 2012. Retrieved 17 April 2010. ^ a b "Project Committee web page". Iupac.org. 2 June 2011. Archived from the original on 29 June 2011. Retrieved 8 June 2011. ^ a b c d e f g Fennel, R.W. (1994). History of IUPAC, 1919–1987. Blackwell Science. ISBN 0-86542-878-6. ^ a b c d e Brown, Theodore L.; H. Eugene LeMay Jr, Bruce E Bursten (2006). Chemistry The Central Science Tenth Edition. Pearson Books. ISBN 978-0-13-109686-8. ^ International Union of Pure and Applied Chemistry: About Archived 2012-12-14 at the Wayback Machine. IUPAC. Retrieved on 2013-07-29. ^ a b Kaderas, Brigitte (2002). Wissenschaften und Wissenschaftspolitik: Bestandsaufnahmen zu Formationen, Brüchen und Kontinuitäten im Deutschland des 20. Jahrhunderts (in German). Franz Steiner Verlag. ISBN 978-3-515-08111-5. ^ O'Sullivan, Dermot A. (1973). "IUPAC raises dues, ponders industry's role". Chemical & Engineering News. 51 (38): 10. doi:10.1021/cen-v051n038.p010. ^ "International chemical industry condemns the use of chlorine as a weapon". Homeland Preparedness News. 1 December 2016. Archived from the original on 1 September 2017. Retrieved 8 December 2016. ^ a b Klein, David R. (2008). Organic Chemistry I As a Second Language: Translating the Basic Concepts Second Edition. John Wiley & Sons Inc. ISBN 978-0-470-12929-6. ^ a b c d "Gold Book web page". Old.iupac.org. 19 October 2006. Archived from the original on 25 May 2011. Retrieved 8 June 2011. ^ Flipkart review of Interactions Between Soil Particles and Microorganisms: Impact on the Terrestrial Ecosystem. Retrieved 15 April 2010. ^ SciTech Book News, Vol. 26, No. 2, June 2002. ^ United Nations Resolution 63/209: International Year of Chemistry. Archived 5 August 2010 at the Wayback Machine 3 February 2009. Retrieved on 24 April 2010. ^ About IYC: Introduction. Archived 12 June 2010 at the Wayback Machine 9 July 2009. Retrieved on 24 April 2010. ^ a b "International Year of Chemistry Prospectus". Portal.acs.org. Archived from the original on 5 November 2011. Retrieved 8 June 2011. ^ "PAST OFFICERS OF IUPAC". iupac.org. Panel on Biochemical Thermodynamics (1994). "Recommendations for nomenclature and tables in biochemical thermodynamics". G. P. Moss, Queen Mary University of London.